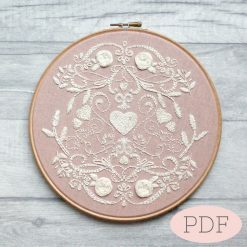 Chain Stitch is a beautiful technique helping to create some texture within your embroidery. 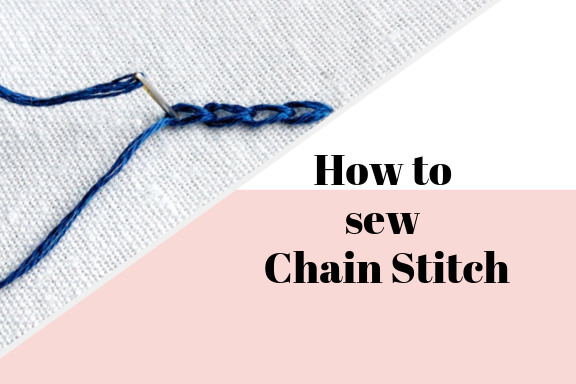 Chain Stitch can sewn in a variety of sizes and angles to create straight of wavy lines to fit any style or project you are working on. 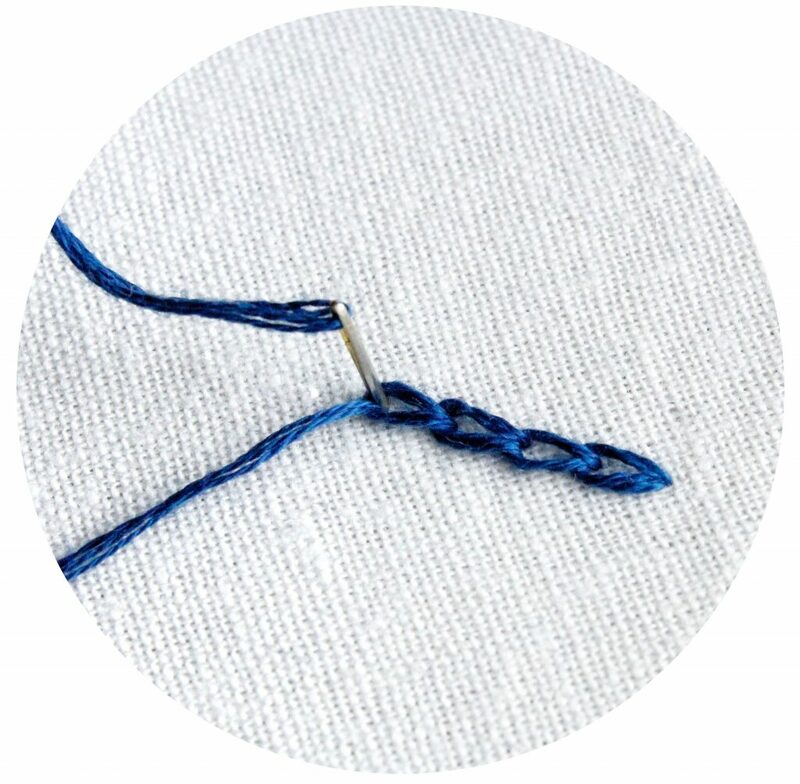 Start by pulling the needle and thread up through the fabric, then insert the needle back into the same place and pull the thread through leaving a long loop. Bring the needle back up the fabric a short distance away from the first stitch and repeat. 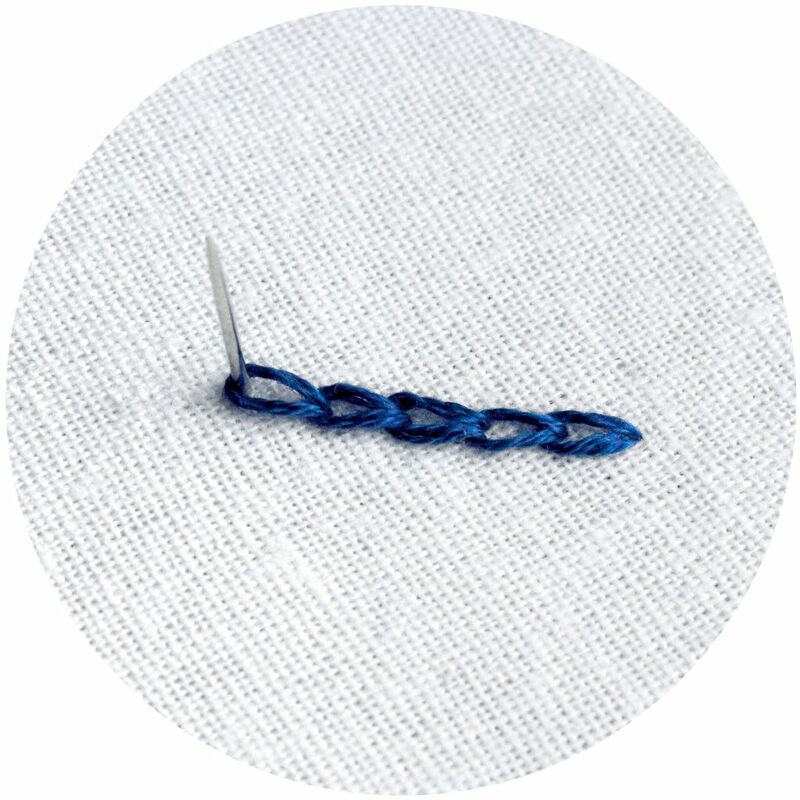 To secure the end finish with a small stitch when you have sewn your desired length. 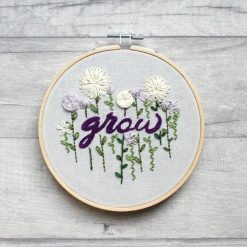 Take your time with this stitch. Make sure you don’t pull the thread all the way through without catching in thread in a loop. 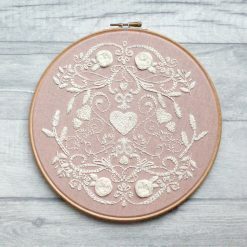 Shop our Embroidery kits and get sewing. This entry was posted in "How to" Sewing Guide, All Posts and tagged hand sewing, sewing, sewing beginner, sewing tips.